Last night I found myself watching Game 7 of the NBA Finals in a room full of family and friends who had gathered for a wedding. My wedding, to be precise, which had been the day before. It went really great. 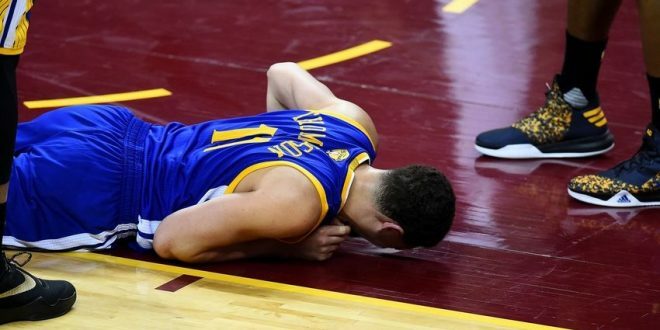 This considerably softens the blow of having to report that in an exciting, nail-biting, back-and-forth contest the Warriors failed to prevail against the Cleveland Cavaliers and will not be repeating as NBA Champions. This is a painful truth, but it has to be a learning and growing experience. I mean, it has to. So what have we learned? 1. Stephen Curry is a human being. 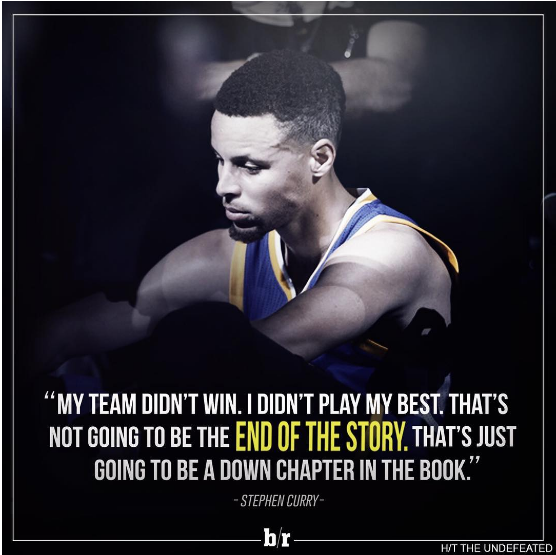 Over the course of the last couple years many of us have drifted into believing that Steph is something like the Second Coming. And not without reason. But this series proved that he, too, can struggle. He can’t make every single shot he takes, and he can be affected by tenacious and disciplined defense. 2. LeBron James is very good at basketball. In the Finals LBJ led both teams in points, rebounds, assists, steals, and blocks. Which is, of course, ridiculous. After going down 3–1 and facing all sorts of criticism for his supposed failings in the clutch, he squared his shoulders and more or less willed his team to a title. I still don’t really like him. But you have to admire the performance. 3. Kyrie Irving too. Kyrie came of age this year, showing off his full set of prodigious offensive skills. He’s still not much of a defender, but you can’t have everything. Crucially, Kyrie carried just enough of the load to keep LeBron from getting worn down over the course of the Finals like he did last year. 4. Cleveland is not cursed. The part of me that’s able to be objective about all this kind of likes the fact that Cleveland got a championship. It’s been a long time for them and as a long-suffering-until-recently Warriors fan, I know what that’s like. Better to lose to a Cleveland team than to someone like the Lakers or, God forbid, the Clippers. 5. You can’t always get what you want. (But if you try sometimes, etc. etc.) Of course I would have loved to see the W’s win it all. But it was a great season, it went the maximum, there were lots of good times had. My lovely wife was by my side for many of the games, and hopefully we’ll be back at it next year. Good Lord, what a nightmare of a game. The Warriors went down big early — 20 points in the 1st quarter, to be precise — and despite repeatedly clawing their way back into it, could never quite get there. Things just kept going wrong — Andre Iguodala hurt his back, Steph Curry tweaked his hand and got into foul trouble, and in the end it was just one of those days. 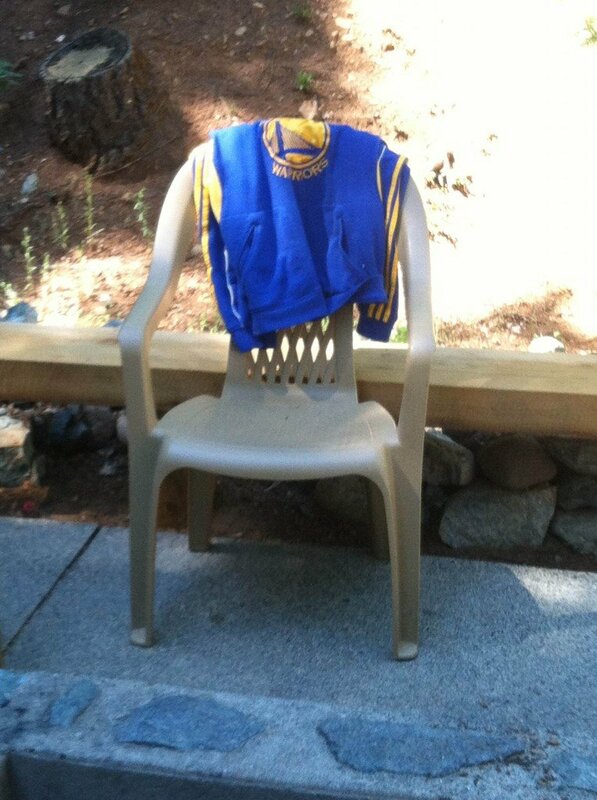 The image that will linger is Curry fouling out of the game — !!!!! — with 4:22 left in the game, then for good measure getting ejected after winging his mouthpiece toward the crowd. After the game, Steph’s wife Ayesha went on record saying the game had been fixed. It was an ugly scene all around. I was watching in a room full of loved ones and alcohol, which lessened the sting somewhat. But on the whole it was not one of your better days to be a Warriors fan. With any luck Sunday —which is when Game 7 will be played in Oakland — will be better. Please, please let it be better. Klay Thompson grabs some floor time after suffering a thigh contusion. It was that kind of night. What a difference three days make. 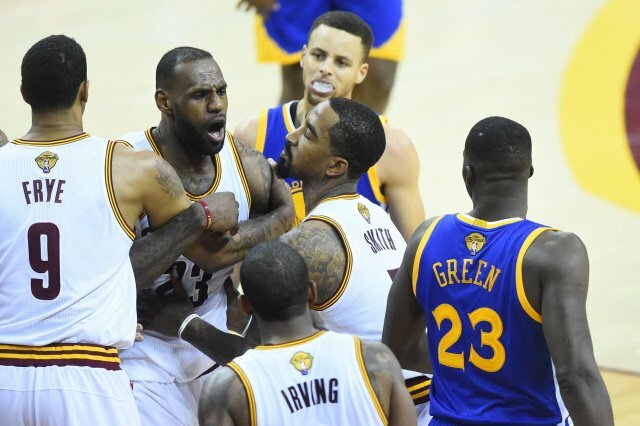 Apparently the Cleveland Cavaliers took somewhat personally all the criticism, disparagement, and outright mockery they endured in the 72 hours between Games 2 and 3 of the NBA Finals. Last night they looked like a whole different team, scoring the first nine points of the game and building a 30–10 lead with 1:22 left in the first quarter. For the math-challenged, that’s a 20-point lead. In the first quarter. The Warriors battled back and managed to get within 8 at the half, but in the third quarter the beatdown resumed. 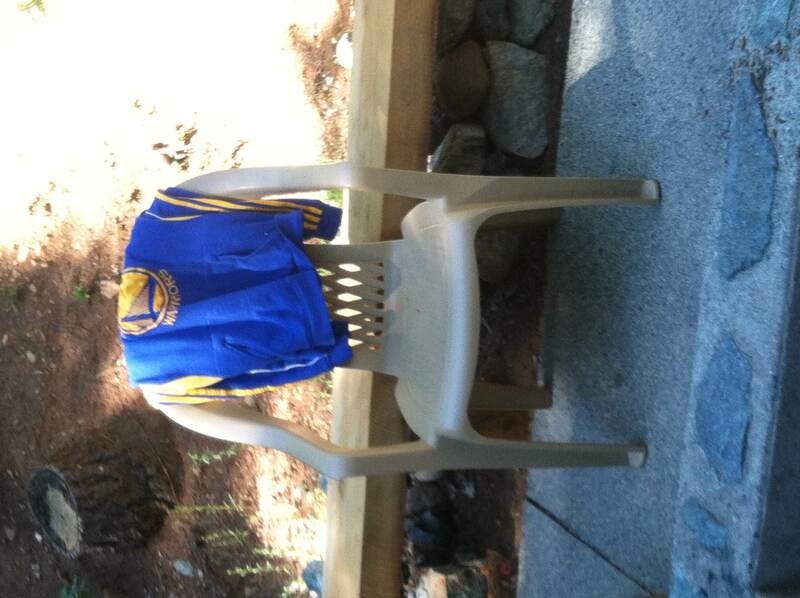 The final score ended up at 120–90, by which time we had long since abandoned our table at the Pearl Lounge in Eureka. That amounts to a 63-point swing between Games 2 and 3. Were those really the same two teams out there? The Cavaliers looked more confident, more aggressive, and somehow larger than they had in the previous game. Their arms were longer, their rotations faster. It was their defense that won the game for them; they again bottled up Steph Curry, limiting him to 19 points on 6-for-13 shooting, and this time the Warriors’ bench did not come to the rescue. The Cavs’ offense was not bad either; they shot 52% from the field and 48% on threes. So as a Warriors fan, what can I say? My team got their butts whipped. They seemed stunned by what the Cavs threw at them, and instead of the unbeatable superteam of Games 1 and 2, looked like regular human beings who sometimes get flustered and make mistakes. And instead of a brutal mismatch leading to the Warriors’ coronation as two-time champs, we have a series now. The W’s are still in better shape than they were last year, when they were down 2–1 at this point. But last night’s debacle opens some questions that will need answering. Game 4 is tomorrow, and with any luck it will be the first actual competitive game of the Finals. Coach Kerr and his minions will earn their paychecks between now and then. I hope. It’s tempting to gloat at a time like this, when My Golden State Warriors just beat the stuffing out of the Eastern Conference Champs in Game 2 of the Finals. Steph Curry and Klay Thompson once again underperformed (this time managing 18 and 17, respectively), and it did not matter in the least. After taking a while to get going, the Warriors took a 15-point lead in the 2nd quarter, which the Cavs cut to 8 at halftime. But in the 3rd quarter the W’s came out blazing; by the time it was over they were up 20, and things only got uglier from there. The leading scorer for either team was Draymond Green with 28, and this is really not good news for Cleveland, who again could not take advantage of a subpar shooting night by the Splash Brothers. The Cavs turned the ball over, took bad shots, and had numerous defensive lapses that led to easy shots for the Dubs. By the middle of the 4th it was a 30-point game and I was waiting for the ref to stop things before someone got hurt. Still and all, it’s just a 2–0 lead at this point. Now the series goes back to Cleveland for Games 3 and 4 and you have to hope, just for the sake of sheer human decency, that the Cavs muster some pride and show a little backbone. They should have no shortage of bulletin-board material with all the nasty stuff that was said about them after the game, and will continue to be said over the next couple days. Gloating would be premature, but one thing is just as true now as it was in November: The Warriors are the champs until someone takes it away from them. The Warriors’ slogan has been “Strength in Numbers” for a couple years now, and while that’s approaching the status of a cliche, there’s a lot of truth in it. Team beats individual every time. This effect was on full display in Game 1 of the Finals, when the Splash Brothers struggled all night, ending up 8-for-27 from the field for a combined 20 points. That was strange enough, but what was even stranger was that it did not matter at all. The rest of the team took up the slack and didn’t just eke out a win; they outplayed the Cavaliers in convincing fashion. 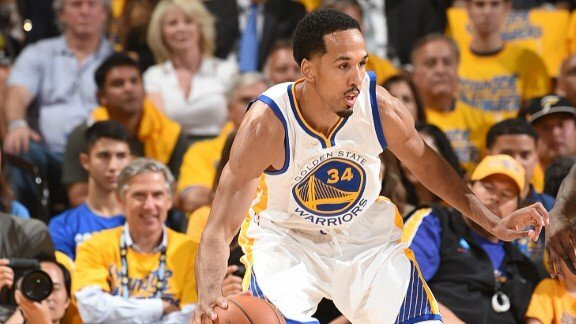 The W’s leading scorer was Shaun Livingston (20 pts, 8/10 FG, 0 turnovers), who had his midrange jumper in sizzling form. Leandro Barbosa, little used recently, tallied 11 in 11 minutes, repeatedly tormenting the tenacious but slow afoot Matthew Dellavedova. 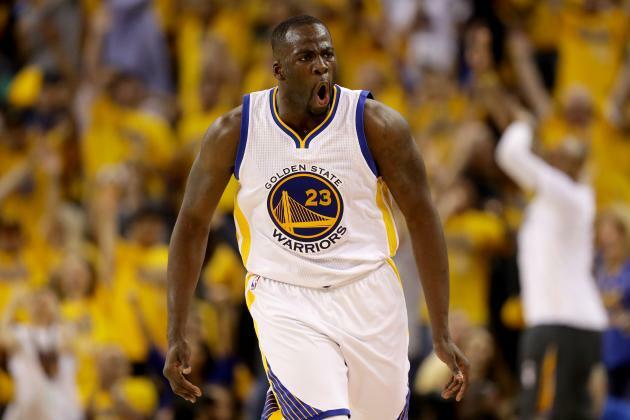 Draymond Green scored 16 and presumptive Finals MVP Andre Iguodala 12, and the whole team pitched in to play stellar defense. Even coach Steve Kerr got into the act, logging his third broken clipboard of the season to help the guys stay motivated in the second half. This is only one game, obviously; things can change a lot over the course of a seven-game series. But it’s not a good sign for Cleveland that the Warriors’ best players had off nights and they still won easily. At one point late in the game ABC flashed a stat showing the W’s top 6 scorers of the night, and there was no one named Curry or Thompson among them. (In the end, Steph hit a late three to pass Andrew Bogut for the 6 spot.) We sat here somewhat flabbergasted on the living room couch, dodging the persistent summer sun that sometimes makes it hard to see what’s happening onscreen. We’ll all suit up again for Game 2 on Sunday. Will the Splash Bros break the 20-point barrier this time? Um, take the over. Game 1 of the NBA Finals will tip off in a couple hours, and not a moment too soon. In the absence of actual news, the internet spits out an endless stream of overanalysis, speculation, and outright blather. It was news today that Steph Curry uses Uber to get around town, apparently disappointing those hoping to see him float by on a magic carpet. Which frankly, at this point, would not surprise me that much. In the meantime, here are a few predictions about the series, none of them of any significance whatsoever. Kevin Love will wear a cup. The two teams will obliterate the previous Finals record for threes attempted and made. Both of them love to launch up long-distance shots, with the Cavs owning the current record for the most made in a game at 25. Klay Thompson just set the individual record with 11, but I wouldn’t be surprised if that record doesn’t survive the series. It wouldn’t surprise me if Steph hit 12 in a game, then Klay hit 13. Being a fan of this team has inflicted serious damage on my ability to be surprised. 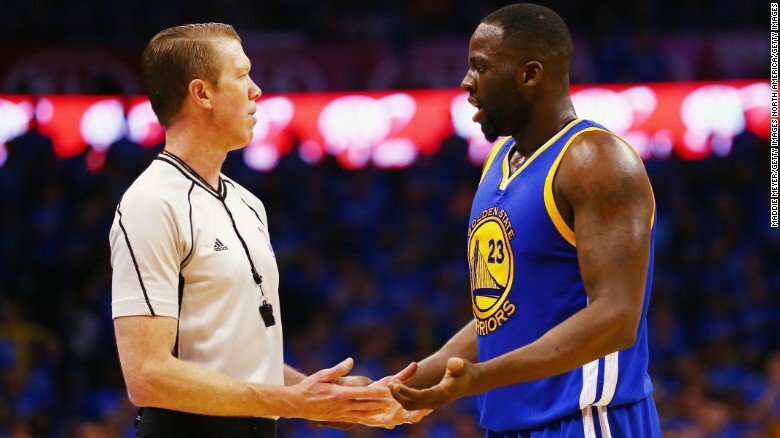 Draymond Green will get a technical foul in Game 1, bringing him right to the brink of a suspension. In subsequent games, anytime he starts to approach a referee, one of his teammates will kick him in the crotch. For the good of the team. LeBron will be unhappy with a call and stare down the ref with that “Don’t you know who I am?” look. If the Warriors lose, a gloating Charles Barkley will explain how it was inevitable. If they win, he will find some reason to undermine the legitimacy of their accomplishment. Because that’s how the Chuckles do. And that’s probably enough for now…my battery is low and there are chores to do before gametime. How crazy is it that the W’s are in the Finals for the second straight year? It used to be a pipe dream that they would ever play games in June, and here we are. Indeed do many things come to pass.